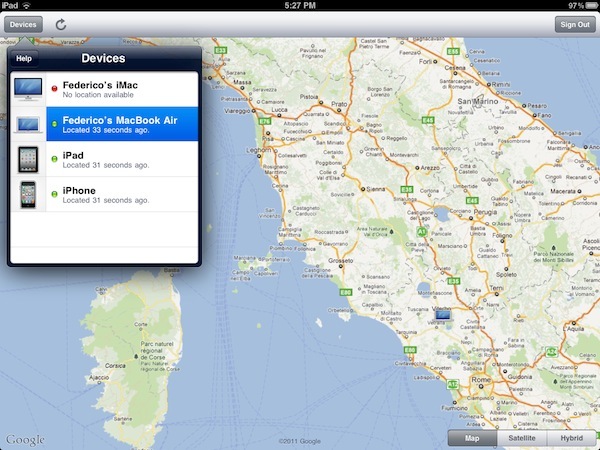 As part of this week's iOS 5 and iCloud rollout, Apple has released OS X 10.7.2, an update for OS X Lion users that brings full iCloud compatibility to the Mac, as well as various new features and bug fixes. 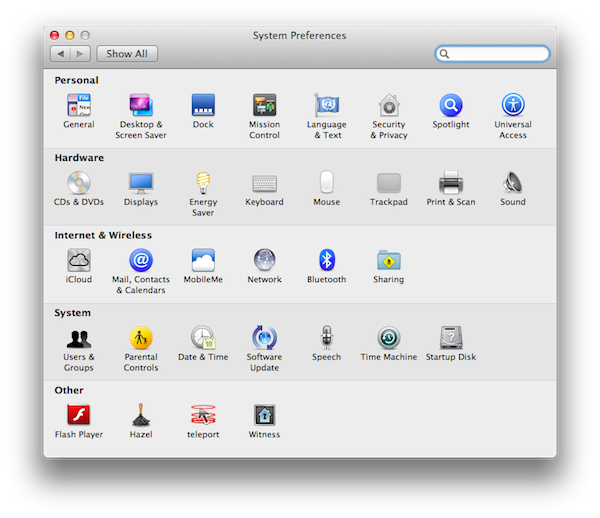 The 10.7.2 update is recommended for all OS X Lion users and includes general operating system fixes that improve the stability, compatibility, and security of your Mac. 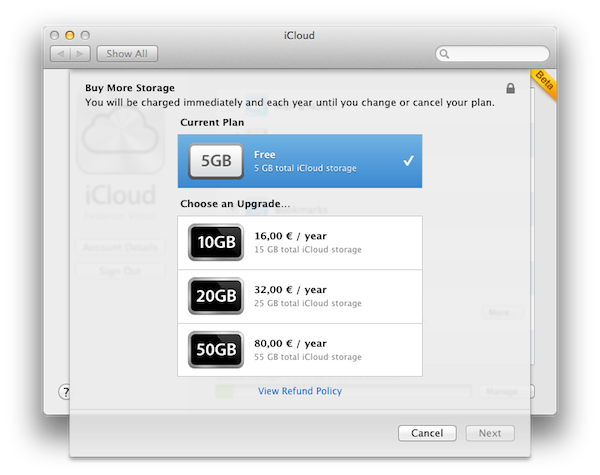 It also includes support for iCloud, a breakthrough set of free cloud services that automatically and wirelessly store your content on iCloud and push it to all of your devices. 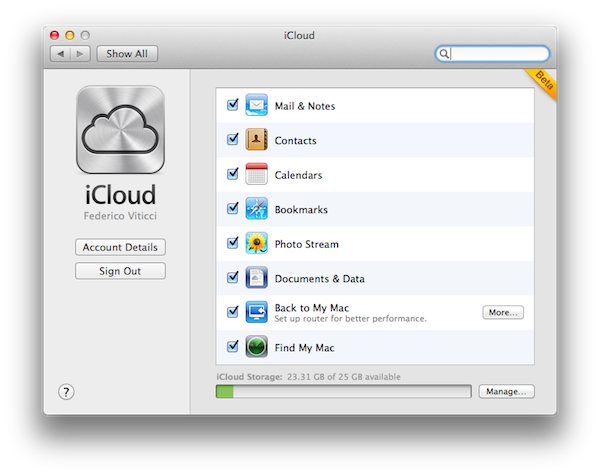 With 10.7.2, Apple is now allowing Lion machines to integrate with iCloud for email, calendars, contacts, Safari bookmarks and Reading List; these items will automatically be stored in the cloud, and pushed across all your devices. As Apple previous detailed in the iCloud transition Q&A, some features of the old MobileMe service have been maintained in iCloud, such as Back to My Mac (remote access to a Mac from another Mac on the Internet) and Find My Mac, a new feature integrated with Find My iPhone that will allow Mac users to find a missing Mac by locating it on a map through iCloud.com or the Find My iPhone app. 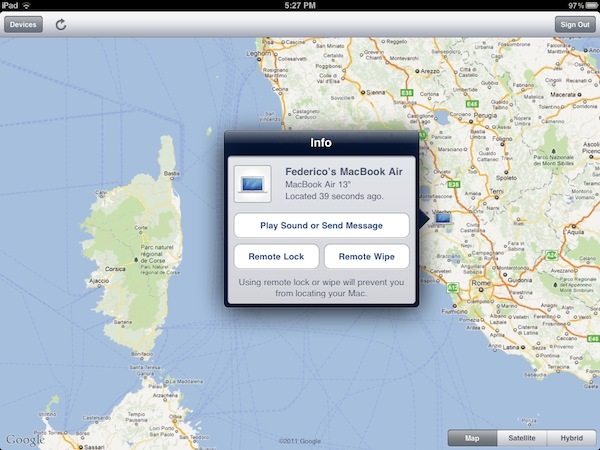 Find My Mac works similarly to its iOS counterpart in that owners of a stolen or missing Mac can locate it, track it, and send messages to the Mac's screen remotely. 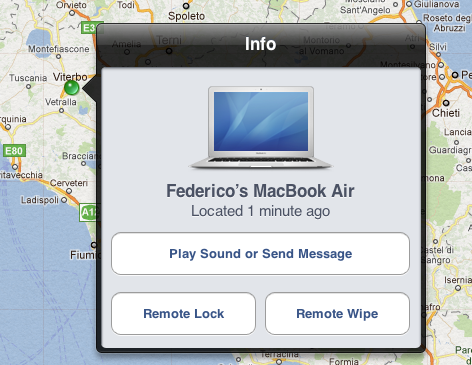 It's also possible to lock a Mac and remotely wipe it. 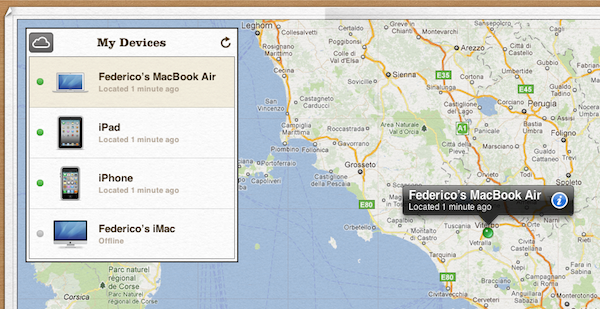 Macs are now located in Find My iPhone on iCloud.com. 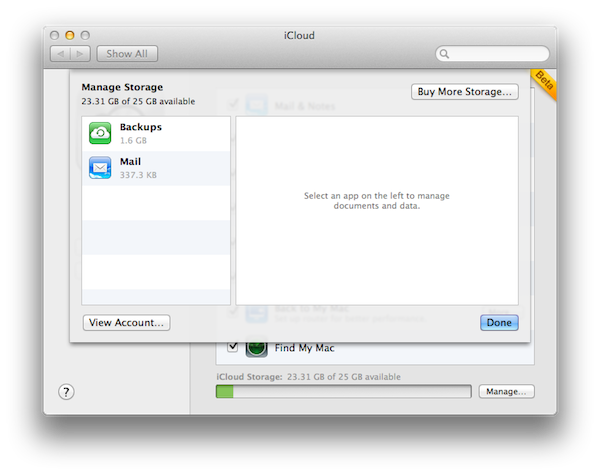 The Manage Storage interface will show iCloud backups, Mail, and apps that use iCloud Storage for documents and data. Address an issue that causes the menu bar to not appear in full screen apps. 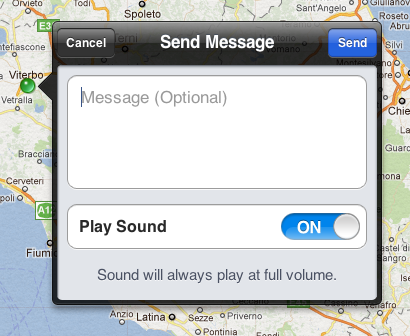 Address an issue that causes Keynote to become temporarily unresponsive. Address an issue that causes a delay in accessing the network after waking from sleep. Enable booting in to Lion Recovery from a locally attached Time Machine backup drive. The most visible new user feature of this update -- iCloud support aside -- is improved support for desktop spaces and full-screen apps. Users can now drag files between desktops and full-screen apps by reaching the side of the screen with a selected file, and drop it anywhere in another desktop space or full-screen app. 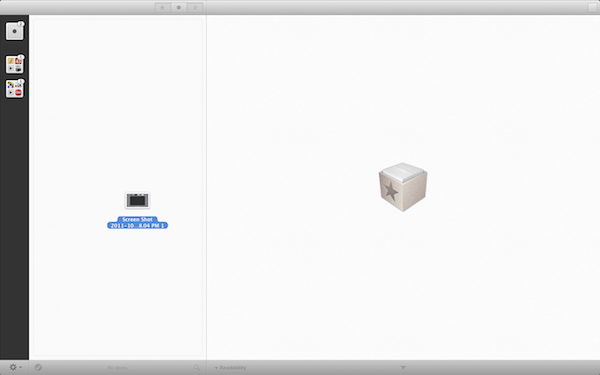 Similarly, desktop spaces and full-screen apps can be reordered in Mission Control by simply dragging their thumbnails. 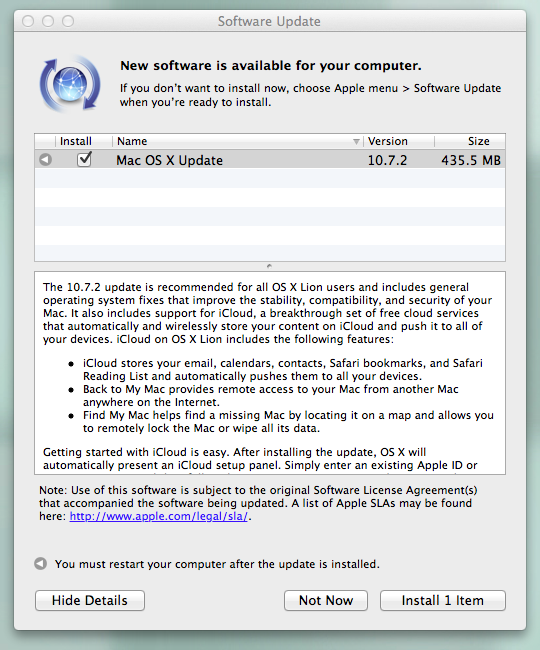 OS X 10.7.2 is available now in Software Update. 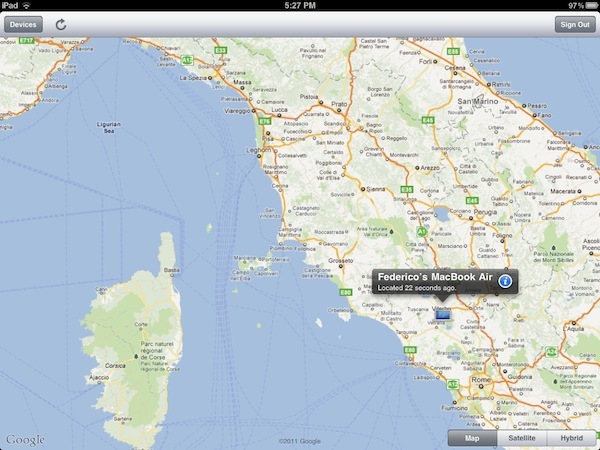 We'll post direct links to the download as soon as Apple makes them available. 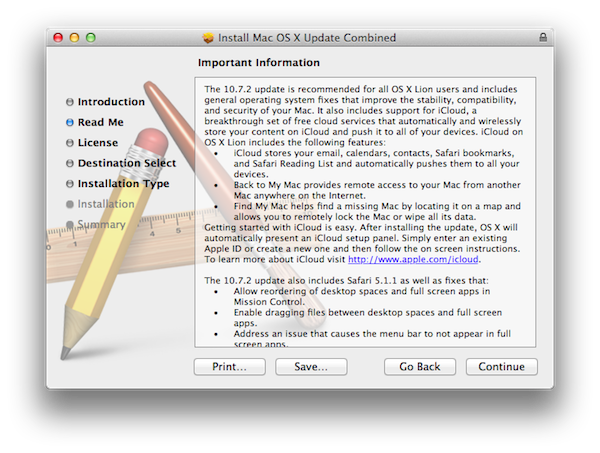 Update: Direct download links for OS X 10.7.2 below.